The injury bug keeps on infesting the Los Angeles Lakers this season. 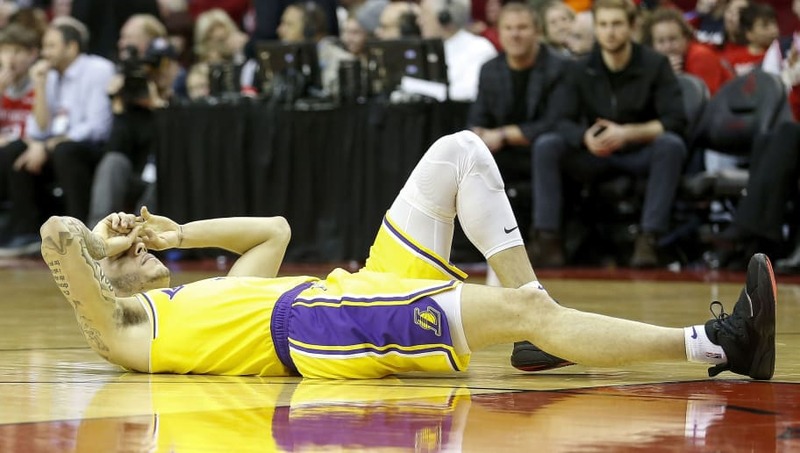 With LeBron James and Rajon Rondo already out, the Lakers have been playing with a somewhat skeleton rotation for the past few weeks and will now have to readjust yet again, as starting point guard Lonzo Ball is now expected to miss 4-6 weeks with a Grade 3 ankle sprain. Breaking: Lonzo Ball will miss 4-6 Weeks with a Grade 3 Ankle Sprain, per @ShamsCharania. Ball got injured on a play where he ran into the Houston Rockets forward James Ennis, but that's not what caused the injury. Right before contact, he rolled his ankle, which ended up twisting his body completely around and caused him to collapse. Even though Rondo is expected to return soon, the Lakers will surely miss the former UCLA guard's playmaking ability, as he was averaging 10.2 points and 7.2 assists before the fall, and even had 11 assists in the game against the Rockets in just 22 minutes. This slew of injuries for the Lakers does not bode well for their playoff chances. Los Angeles is currently on the outside looking in, sitting in 9th place of the Western Conference, but may fall even further with Ball and James out. If guys like Kyle Kuzma and Brandon Ingram don't step up big time, we may be looking at our first LeBron-less NBA playoffs since 2005.